JACKSON, Miss. (AP) — Mississippi’s attorney general said Friday that he will appeal a federal judge’s ruling that struck down one of the most restrictive abortion laws in the United States. U.S. District Judge Carlton Reeves ruled Tuesday that a Mississippi law banning most abortions after 15 weeks “unequivocally” violates women’s constitutional rights. 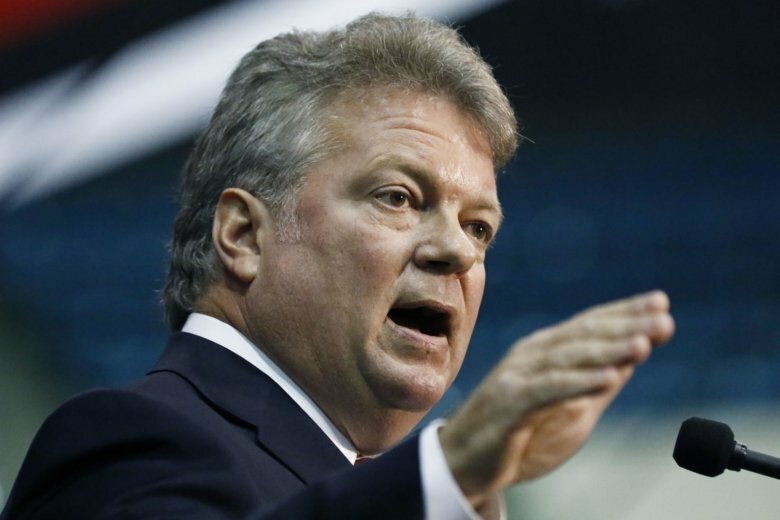 The state’s Democratic attorney general, Jim Hood, said Friday that other federal circuits have reviewed laws banning abortion at 15 to 20 weeks, but the 5th U.S. Circuit Court of Appeals has not yet reviewed such a case. “Because there is no controlling decision from our Fifth Circuit, it is our duty to appeal this ruling,” Hood said in a statement. The 5th Circuit handles cases from Mississippi, Louisiana and Texas. It is generally considered one of the most conservative federal appellate courts. The only abortion clinic in Mississippi says it provides abortions until 16 weeks, and it sued when Republican Gov. Phil Bryant signed the 15-week ban on March 19. Reeves issued a temporary restraining order the next day to keep the state from enforcing the law. Bryant indicated Wednesday that he was interested in an appeal of Reeves’ ruling. As attorney general, Hood is in charge of deciding whether the state will appeal. Hood has already announced he’s running for governor in 2019, when a term-limited Bryant may not seek re-election. The Mississippi law and the responding lawsuit set up a confrontation sought by abortion opponents, who are hoping federal courts will ultimately prohibit abortions before a fetus is viable outside the womb, the dividing line that the U.S. Supreme Court set in its 1973 ruling saying that women have the right to terminate pregnancies. In his ruling Tuesday, Reeves cited Supreme Court rulings and wrote that states may not ban abortions before viability. He wrote that viability must be determined by trained medical professionals, and the “established medical consensus” is that viability typically begins at 23 to 24 weeks after the pregnant woman’s last menstrual period. Because of Reeves’ ruling on the Mississippi law, a similar law in Louisiana is on hold. The 15-week abortion ban signed by Louisiana Democratic Gov. John Bel Edwards earlier this year contains language saying the law will take effect only if a federal court upholds the law in Mississippi.